Tusks, trunk and eyelashes. Look closely at her left tusk. 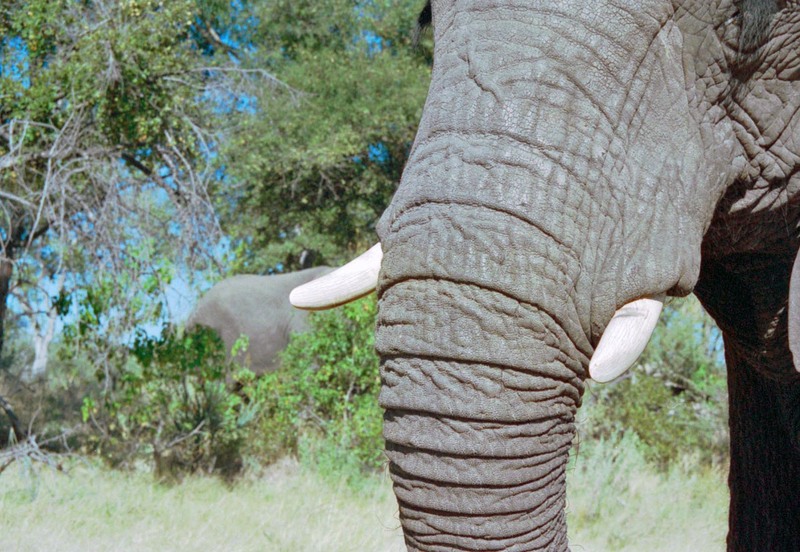 See the abrasion marks where she pulls grass and branches across it, often holding the end of them with her trunk as she chews on the other – a conveyor belt of mastication.